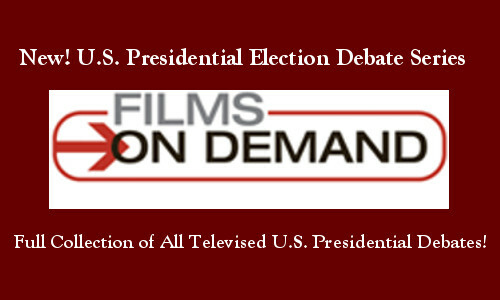 Just added to Films On Demand, the new U.S. Presidential Election Debates series, together with the Ronald Reagan–John Anderson debate of 1980 , offer a fascinating look back at every televised United States presidential election debate in history. Watch each debate in full and explore how they have changed over the years. Compare significant points in the debates to the eventual outcomes of the elections. Have students listen closely to identify the issues that the candidates both are and are not addressing, and have them rank the candidates by how effective they were at conveying their points.